Math IS Real Life – June Edition: let’s get fit! 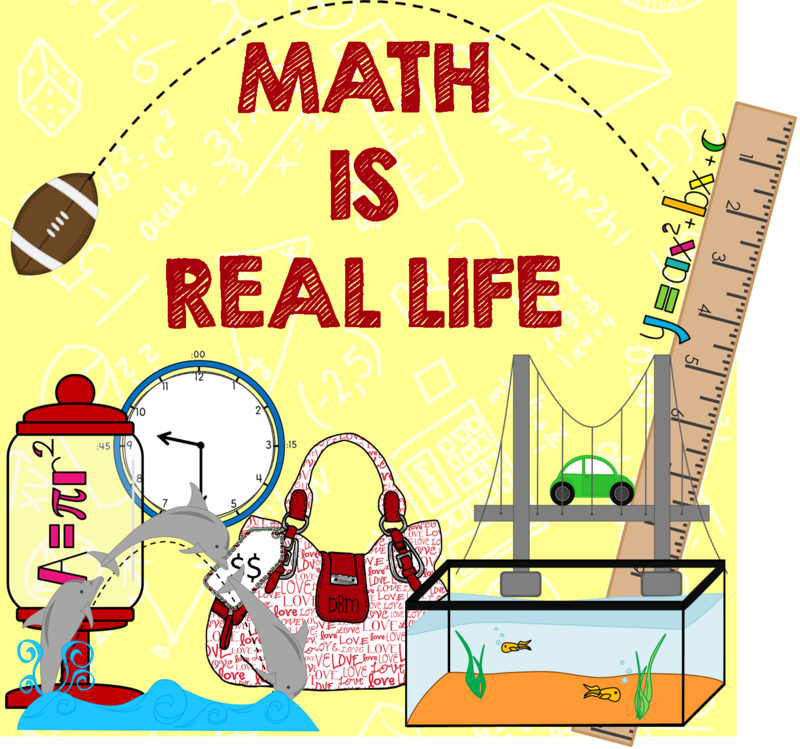 It’s the first Wednesday of June which means it’s time for our monthly linky – Math IS Real Life!! If you want to see how the linky works, or just want other real world math ideas, check out our Pinterest Board of all the posts so that you can look back and find some great ideas and REAL pictures to use in your classroom! Anyhoo, back to the overwhelming information that FitBit gives me…. The picture on the left is a weekend…. I don’t do a lot of moving on the weekend b/c I’m usually blogging or creating something new (aka sitting with a computer in my lap) but you may notice hte active moments are at 60… can you say treadmill?! 1 hour of treadmill at 3.5 mph gets me a HUGE chunk of my daily steps / mileage and all of my active minutes. Then the rest of the day evens itself out and I get all my greens in! The picture on the right is a typical school day – I move around the school A LOT! But, I still have to come home and do at least 20 minutes of treadmill to get my active minutes in. Yes, I’m moving and grooving, but not nearly as fast of a pace as on the treadmill. Dozer is curiously cautious of the treadmill…. Streaming a movie helps me not think about being on the treadmill! The second thing that FitBit showed me is something that I have always known about myself, but now I have graphical proof! I am a VERY heavy sleeper. The pic on the left is from the weekend. The large red line is because I fell asleep on the couch, woke up around 2 or 3 am and walked myself to bed and went back to sleep. The picture on the right is a typical night – minimal tossing and turning and solid sleep. After 3 days, I’m at 56% of my weekly goal…. If I continue at this pace, will I make my goal? This graph shows me exactly what I know… that I move a lot at school, but not at a fast pace! I need to work on upping the yellow and the red! I’m consistently hitting 10k steps a day…. should I up my steps to 12k? How would the graph change if I did that? According to this graph, I’m “on track” for my goal…. Why are there spikes on the S days? How could I increase my daily average? See what I mean about overwhelming, yet addicting?! I find myself tapping my wristlet all day to see how far I am in my daily 5 mile goal. I try very hard to have my 5 miles BEFORE I leave school, but that doesn’t always happen. I also find myself trying to predict where I think I am in my daily goal. Categories: #mirl, computation and estimation, math is real life, and probability and statistics. Love it! I’ve been trying to decide between the fitbit and the Up. Thanks for sharing. I love my fitbit! My kids at school are just as into me getting all my green lights as I am! They are my accountability! Thanks for sharing and for this amazing real world math linky! Love the extra motivation from my fitbit zip!